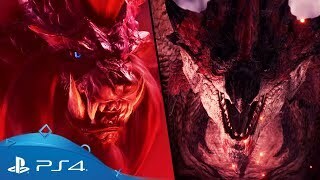 Monster Hunter: World — это экшен с ролевыми элементами от студии Capcom. Очередная инсталляция в серии игр, в которых игроки берут на себя роли охотников за монстрами. В Monster Hunter: World представлен большой и открытый мир, населенный разнообразными чудовищами, обширный арсенал, кооперативный режим и система, позволяющая сооружать собственное снаряжение. A triumph for the series and one of this generation's greatest games yet. Monster Hunter World takes the beating heart of a vital, niche franchise and elevates it toward universal appeal. I feel like I’m just scratching the surface of what Monster Hunter World has to offer. The sublime combat against a variety of awe inspiring monsters- the meaningful sense of progression where every little thing that I did felt like it mattered- it all culminated to the thrill of the hunt in those moments where with only a single life left, I fought against the odds, shoulder to shoulder with a group of strangers who became my brothers in-arms and when it was all said and done, I waved goodbye knowing that we had shared an unforgettable moment of triumph… until the next hunt. Capcom has created an immersive living and breathing world, allowing players to fully enjoy the charm of the titular monsters within a credible ecosystem. Combined with solid improvements in story and gameplay, Monster Hunter: World is a must-have game for veteran fans and novices alike. This is the most audacious Monster Hunter game yet. Monster Hunter: World manages the balance between staying true to the series’ ideals and the addictive loop of combat with intimidating monsters and meaningful upgrades that fans love, while also taking a dramatic leap into a look, feel, and size that feels truly new. Its sheer depth and the commitment required is still intense, but it clearly isn’t Capcom's aim to court a casual crowd. It’s as all-consuming and incredible a ride as ever. This is the modernization that Monster Hunter definitely needed. Not only is it the most dynamic title in the series to date, it's just a fantastic action role-playing game. Even if you've bounced off the series in the past, I highly recommend giving Monster Hunter: World a try. It's where the series finally truly clicked for me, and that is very much by design. Capcom has updated their formula for a new generation, and it's a real treat for all. Monster Hunter: World невозможно сравнивать с другими играми. Это уникальный многопользовательский экшен, в котором гриндить не надоедает и спустя пятьдесят часов. Monster Hunter: World scratches the itch for complexity, both in hunt for rare gear and skill with its weapons, but this time it’s a game that no one should be intimidated to get into. This long standing series makes an outrageously good current gen debut. The size and scope of the environments, and the monsters in them, is awe inspiring, making Monster Hunter: World a true (lizard) king of games. Monster Hunter: World is a balancing act of accessibility and classic appeal. Novice fans will enjoy the reasonable streamlining and fluid combat, while veterans will relish in the seemingly endless challenges set aside for high ranked players. Whatever 2018 brings, I'll be playing this game for a long, long time. If you've been skipping out on Monster Hunter games for a while because they seem to blend together, jumping into World is your chance to get in. Monster Hunter: World has found a way to lower its barrier of entry for newcomers while still delivering an immersive experience that long-time fans of the series crave. 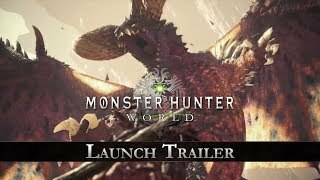 The combat has a bit of a learning curve, and multiplayer could use a few tweaks, but no matter your experience level with the series, this will be time well spent for all hunters ready to pick up a sword, bowgun, or gunlance. Monster Hunter: World marks the beginning of even greater things to come in the future. It re-imagined the series from a wider perspective, while keeping the core of what so many players new and old will continue to enjoy. From the gorgeous visuals to the design in its monsters and ecosystems, Capcom has made the best Monster Hunter game yet. It's just a shame it doesn't help with its complex systems an occasionally poor explanations of them. The Monster Hunter formula has definitely honed its claws, and all the above factors play their part in making Monster Hunter World a meaningful evolution for the series at large. Monster Hunter: World is easily the finest entry in the franchise to date. The move to PS4 has only done it favours, with stunning visuals and environments that you'll want to get lost in. Flashy, satisfying combat will lead to many water cooler chats, and vastly improved online features make it a breeze to find help. It's a real shame that Capcom still hasn't found an ideal way to welcome new players, but if you are able to sink your teeth into World, you'll discover an incredible action RPG experience.